Two major announcements made earlier this week that will have a big impact on city planning! After five years, Jennifer Keesmaat is leaving her position as Chief Planner and Executive Director of the City Planning division. This article from Urbantoronto.ca has a breakdown of the initiatives she helped push through including a reform of the Ontario Municipal Board, the King Street Pilot Project which is starting later this fall and TOCore, the first comprehensive plan for downtown in 40 years. The question now is – what’s next for Keesmaat? Will she run for mayor? And who will replace her? She’s leaving as of September 29th. The second change is that in the fall, city council is going to be asked to give over 250 midtown buildings Heritage status. 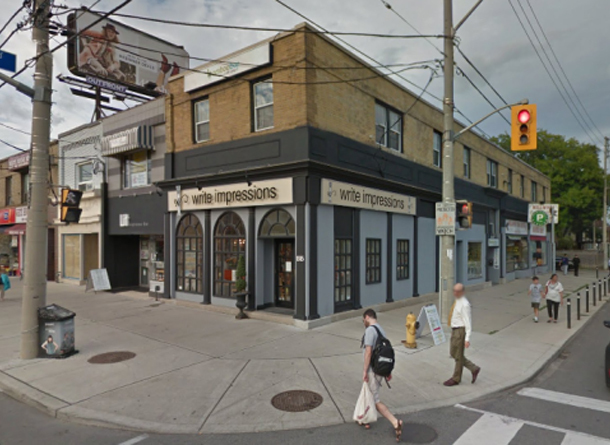 Many of these are two-storey storefronts that certainly add to the character of midtown but don’t do a whole lot when it comes to adding density to the city. The benefit of protecting a large number of buildings at a time is that it could allow city staff to block demolitions faster. If this had been in place, we may not have lost the Stollery’s building at Yonge and Bloor or the bank at Yonge and Roselaws. Whether all the buildings qualify for heritage status remains to be seen, but at least it’s a step forward towards protecting Toronto’s older buildings. While we need more housing, there’s got to be a better solution that knocking down an entire block of buildings even if it makes things easier for developers.